Meet Christie Zizo and her pets Lulu, Jasmine and Galadriel. Christie is a freelance writer and web editor who lives in Orlando, Florida. Life With Beagle is where this trio talks about pet news, lifestyle trends, and travel to help readers sift through the increasingly complicated world of pet ownership. 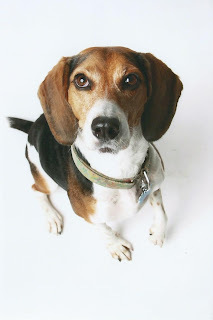 Our growing following includes not just beagle owners, but first-time pet owners, dog owners and cat owners. Christie’s thoughtful and friendly style helps readers understand how a product makes their pets’ lives better. Plus, fun features like the Deck the Dog House Contest, 10 dog books to read and more. We also take part in fundraisers, including our annual "Lulu's Favorite Things" campaign to help Harbor House of Central Florida raise money for their kennel for pets of domestic violence victims.